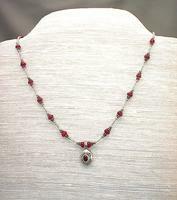 Ruby -- the birthstone for July -- is the heart and soul of this beautiful pendant necklace. 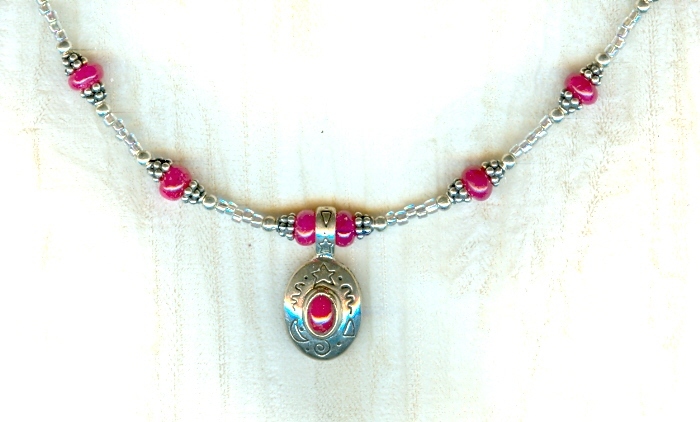 The sterling silver pendant is set with a 6x4mm oval ruby cabochon. 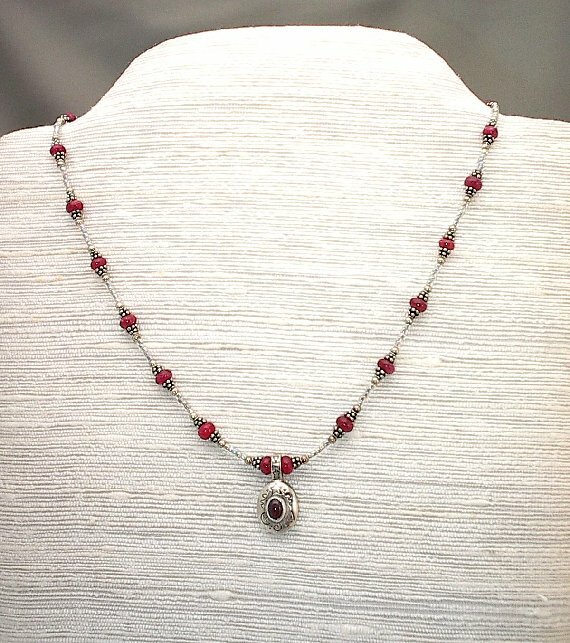 The pendant co-ordinates beautifully with the ruby roundels and sterling silver accents in the 19-1/2" necklace. The larger beads in the pendant necklace are spaced by lustered clear glass seed beads. The pendant necklace closes with a sterling silver toggle clasp. This wonderful, unique pendant necklace is brought to you by SPARKLE PLENTY, of course.